LAGUNA NIGUEL, CALIFORNIA - Designated as a Wildlife Sanctuary in SoCal near the Pacific Ocean, the Aliso and Wood Canyons Wilderness Park includes 30+ miles of trails spanning the 4,500 acres of park lands. Hikers and bikers are bound to spot wildlife along with wildflowers, mature oaks, sycamores and elderberry trees and streams. 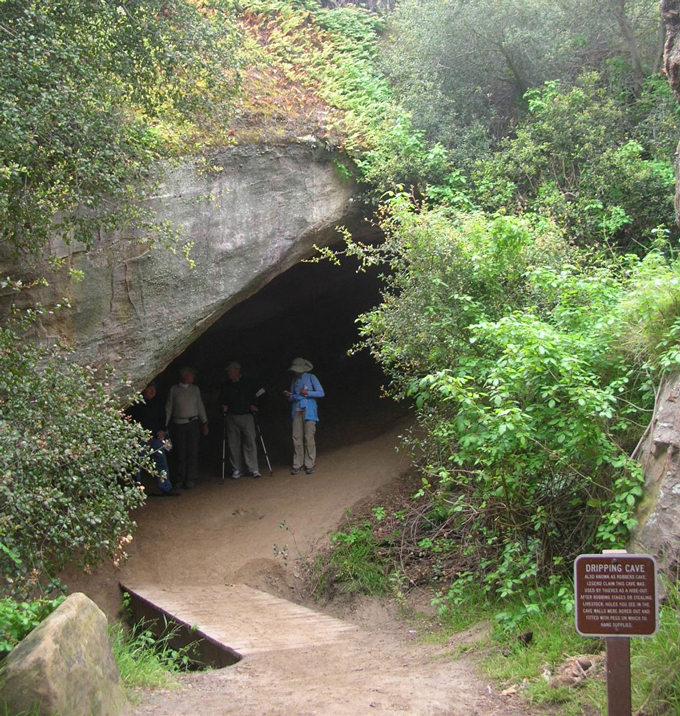 Although currently closed due to fire restoration, one interesting historic landmark is Dripping Cave, the park's largest rock shelter. The cave has earned another name - Robbers Cave - because thieves during the 1800s used the overhanging rock to hide before and after robbing stagecoaches or stealing livestock.